Take a que here for new ideas to think outside the box for that next one-of-a-kind listing to come your way. Every once in a while a property comes along that has extraordinary potential. That diamond in the rough which can be difficult for the average buyer to see without some help. I had the pleasure of talking with the listing agent for one such extraordinary property and learning exactly what he did to help overcome visual hurdles to stimulate increased value for his seller. As a raw piece of land, the listing agent could have chosen to market this piece of property simply as a land investment “with potential” and the regular run of the mill specifics. With the help of an architect and builder, along with some special aids however, they were able to show the greater potential in being able to sustain a 4,500 square foot home on 1.16 acres with a 10 minute walk to the community of Whistler, BC. 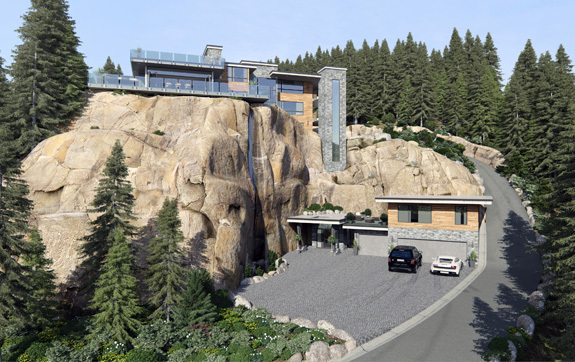 By creating 3D renderings of the potential space, including a waterfall and glass elevator make this acreage obtainable for most interested buyers buyers because now everyone can understand the potential view, elevation, and possibilities whether its the final design or not. The star of this marketing campaign is the 3 dimensional photo collection. Imagine trying to market this property without these photos. How would you ever be able to express the uniqueness of this exquisite piece of land? The setting is majestic, the view is panoramic, it truly is in close proximity to Whistler Village, and it has luxury dream home potential. 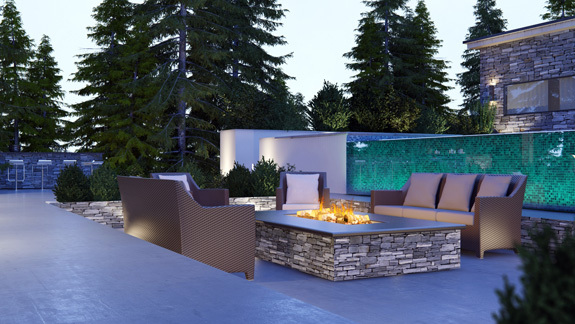 You simply could not express this without high-impact images and 3D renderings. While these images are an investment, remember that great investments can yield a high return. I have no doubt whatsoever that the buyer for this property will come from seeing these images and realizing that they cannot live another day without this incredible home. They want to wake up to the beautiful view and serene setting. They want to soak in the views and relax in their spa like retreat. The buyer could never have gotten this emotional response from simply looking at a piece of land for sale. These images are exceptional and the marketing on this property is highly desirable. In addition, this agent knows that the buyer for this property may not be currently living in Whistler Village. This potential buyer may be browsing online right now in Los Angeles or Miami or even Dubai. When the buyer isn’t close enough to view the property easily, the power of great online photography cannot be overestimated. You can see from the photos that these virtual 3 dimensional renderings bring out the very best in the potential for this exquisite property and why when marketing unique and once in a lifetime properties you should never cut corners on your marketing. A great video takes you right into the home, it makes you feel like you are there, as if you are actually walking through the property and interacting with it. This particular video evokes emotion as it takes you through the home. It feels as though you are right there. Again illustrating the point if you are going to marketing exceptional properties you must be prepared to invest in exceptional marketing. 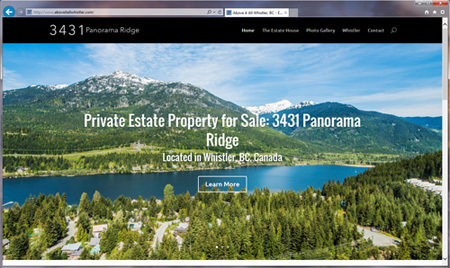 This amazing property located at 3431 Panorama Ridge in beautiful Whistler B.C. 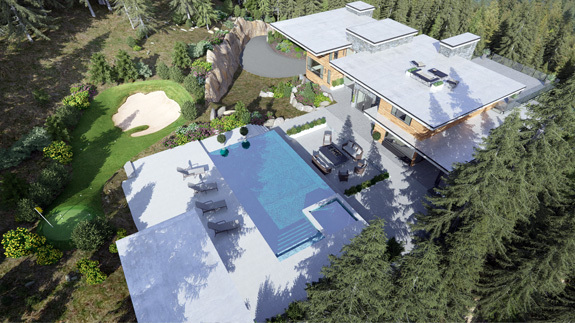 is a rare estate size lot of over one acre perched on the side of Whistler Mountain. 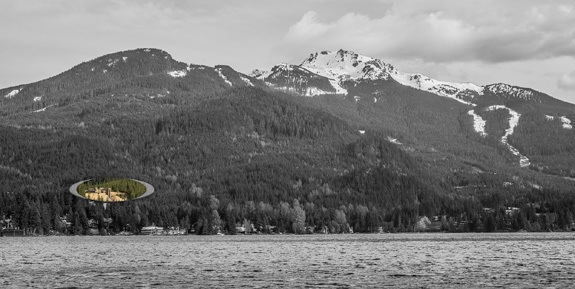 The location is central to Whistler Village and is in the sought after Brio neighborhood. The views are spectacular, the setting is majestic and the privacy is unsurpassed. This property has it all. 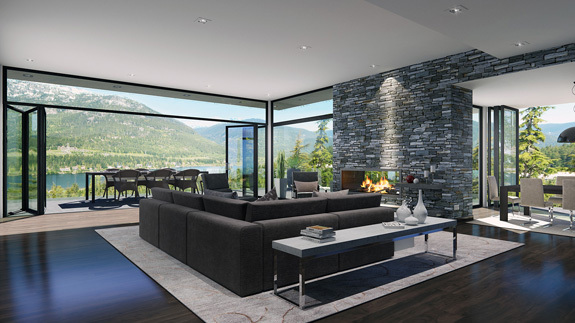 The home has been designed to take advantage of the breathtaking views and the floor to ceiling windows bring the outdoors in. The home has many upgraded features including a private elevator, infinity pool and hot tub, this 8,000 square feet home is one of a kind. 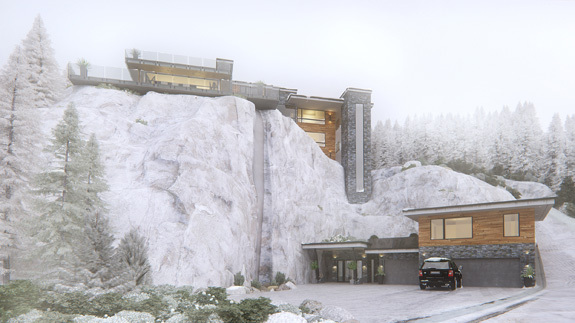 The home’s builder Carmelo Mattiazzo is a well-respected Whistler builder, he has been building in Whistler since 1979. His vision for the property was limitless and his experience in both residential, multi-family and commercial guarantees a very special custom home. Carmelo also encourages a further customization of the home for the new buyer by allowing them to choose their finishings and to collaborate on design preferences. When you look at this website it is clear to see that the 3 dimensional images are of the highest quality and they give the buyer a realistic vision of the incredible potential of this extraordinary property. A custom website is not only essential but it allows for complete focus on the property and it guarantees the property will not get lost in a sea of other listings. In addition, a custom website gives potential buyers an easy spot to come back to and dream. Don’t be afraid of exceptional potential properties, but you do need to be prepared to invest time and resources into painting a picture for a buyer. Thank you Pietro Nardone and Steve Shuster of Sutton West Coast Realty with sharing this exceptional property and how it was marketed with us. 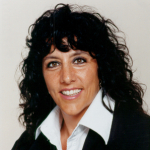 ★ The Lones Group – Real estate coaching, free tips & tools newsletter, and branding services.